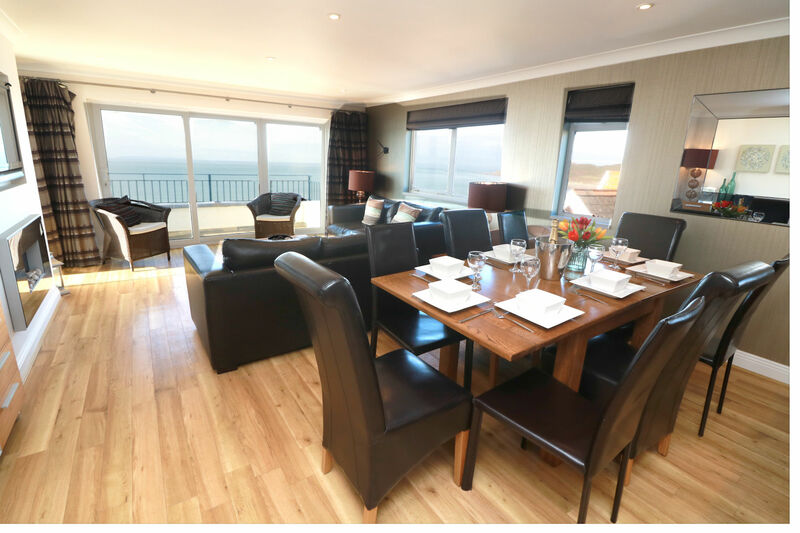 Devon Beach Penthouse is a fantastic large penthouse apartment situated on the Esplanade with direct sea views. 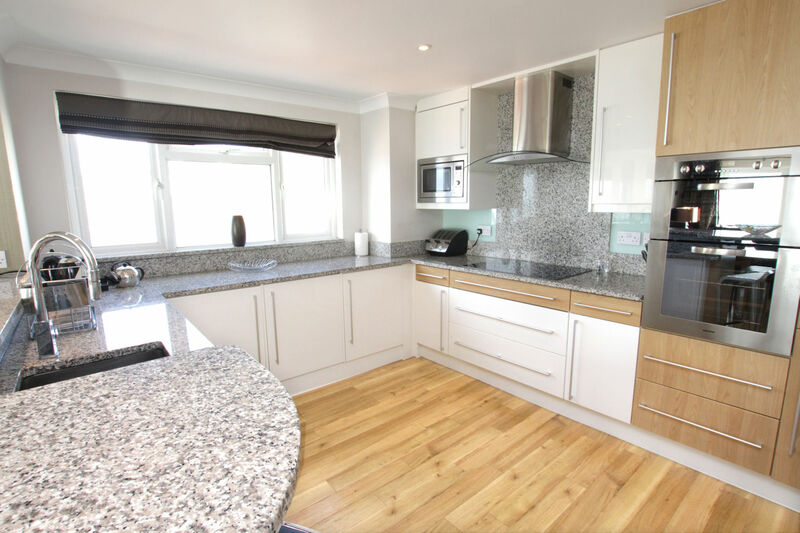 Complete with 3 Bedrooms (2 en-suite) sleeps 6 - 8 with spacious and contemporary accommodation. 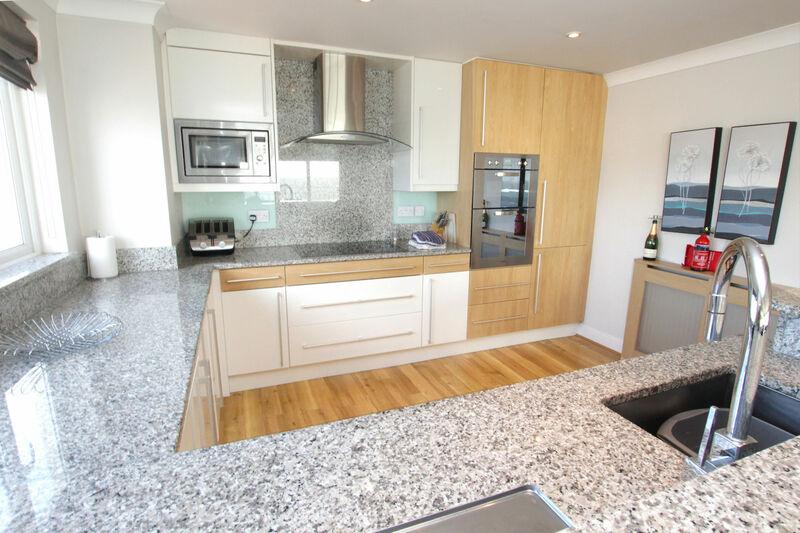 Wonderful Penthouse apartment offering luxury accommodation with some of the best sea views available. 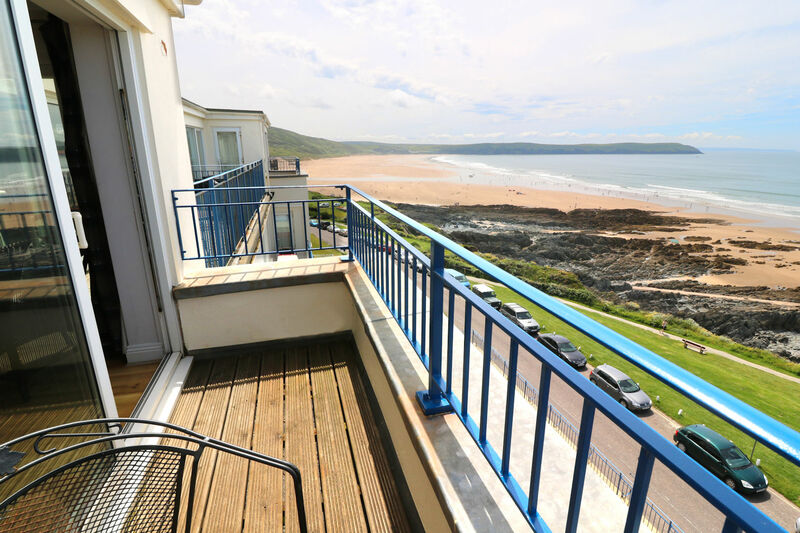 This 3 bedroom contemporary apartment offers spacious accommodation with 3 large bedrooms (2 en-suite) plus family bathroom, open plan kitchen/dining/living room with a balcony to enjoy fantastic sea views across Woolacombe Bay. 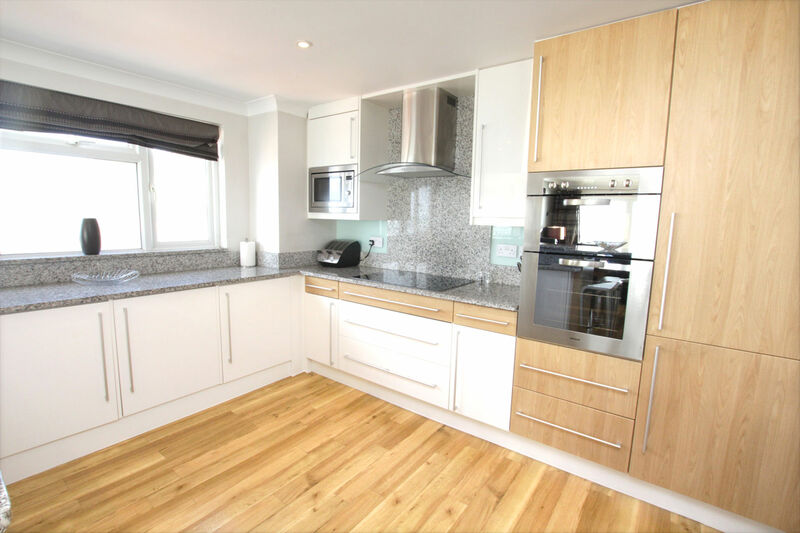 The well equipped kitchen area provides electric double oven, ceramic hob, microwave, dishwasher, built in fridge/freezer and washer/dryer. In the there is also a breakfast bar with 2 stools. 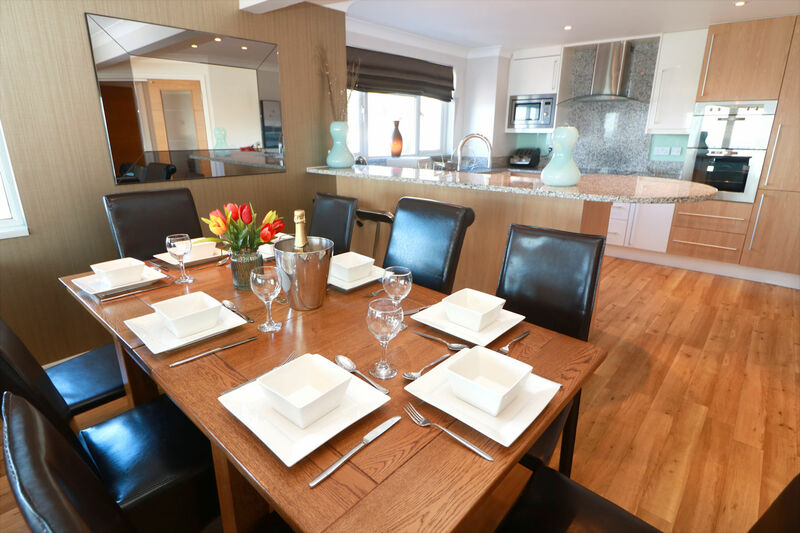 The living/dining area offers a solid oak extendable dining table and chairs for 6 - 8 people, comfortable seating for up to 8 guests with a wall mounted flat screen TV with sky (sports & family package available) and DVD player, electric fire for cooler months, iPod docking station, WIFI and access out to a smaller balcony with a table and chairs for 2 - ideal for enjoying a morning coffee whilst checking the surf! There is also access to the larger balcony (off the master bedroom) which also enjoys the same fantastic views and breath-taking sunsets! 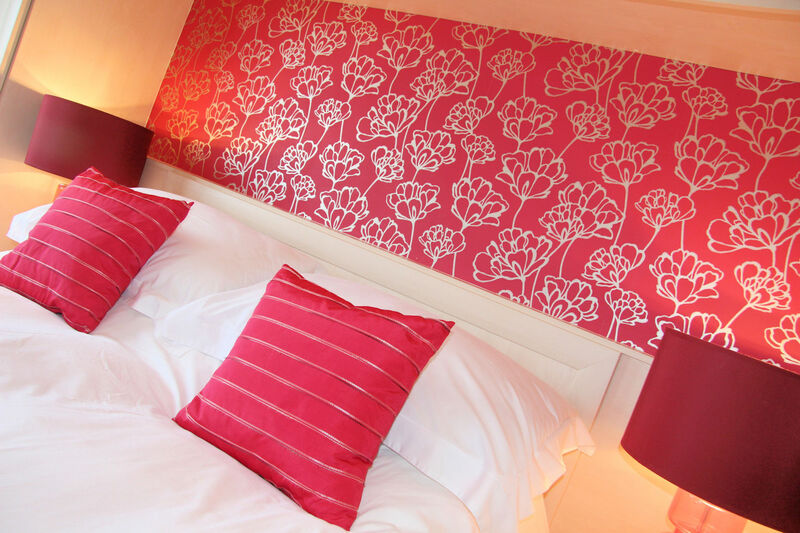 Wake up to a view of the sea from the comfortable king size bed in the master bedroom. 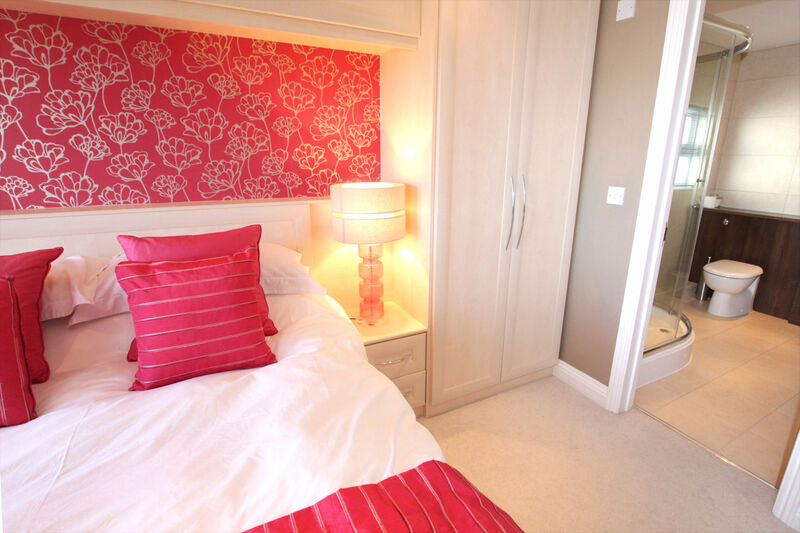 Ample storage space for clothing plus a wall mounted flat screen TV with freeview. 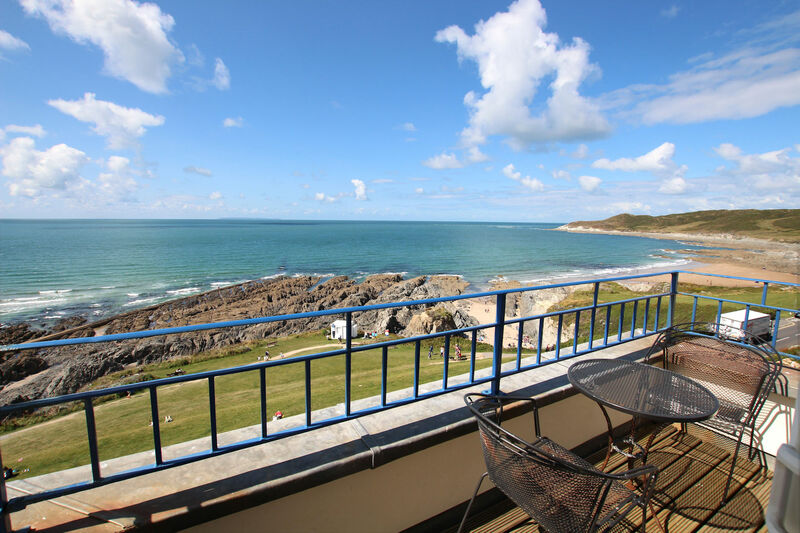 There are sliding doors out to balcony with views from Woolacombe beach across the bay to Baggy & Hartland Points, Lundy Island and over to Morte Point. 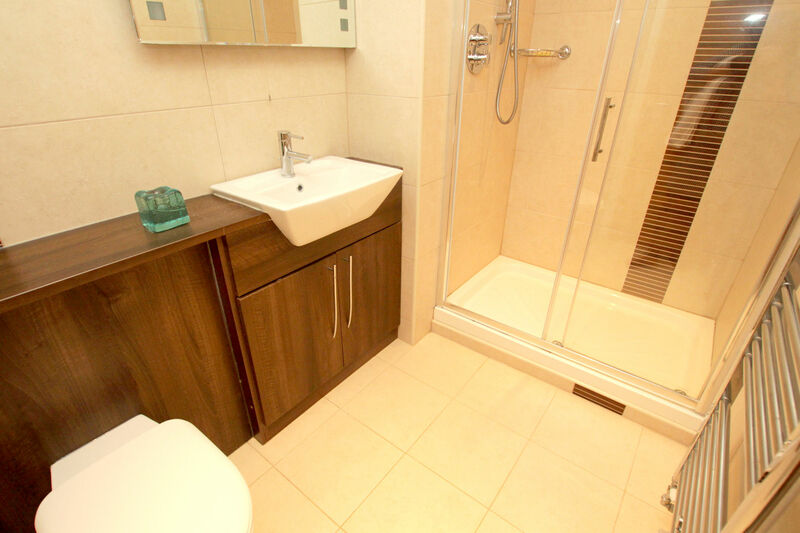 There is an En-suite shower room with large walk in shower. 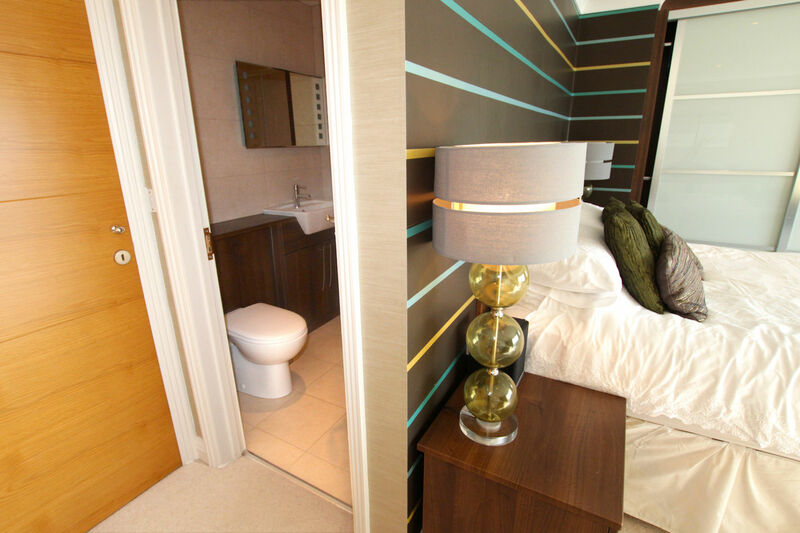 Second double bedroom with a wall mounted flat screen TV with freeview, dressing table and plenty of storage space. 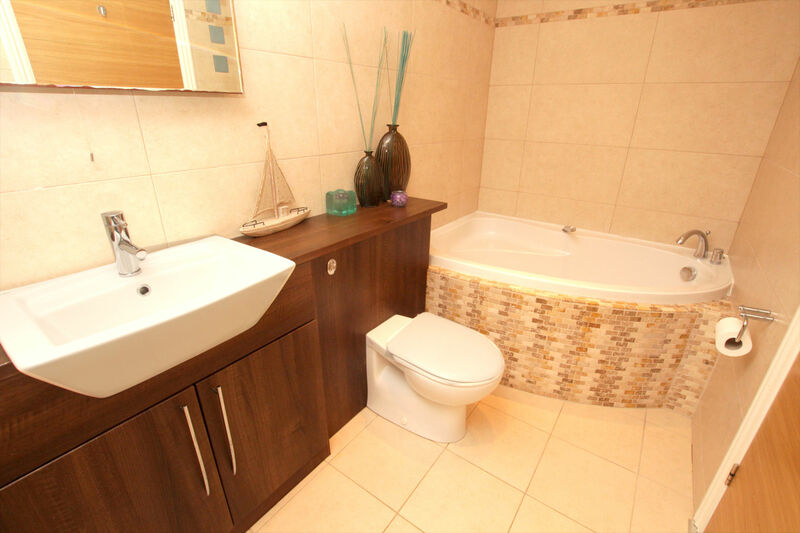 An en-suite bathroom with good sized shower cubicle can also be found off this bedroom. 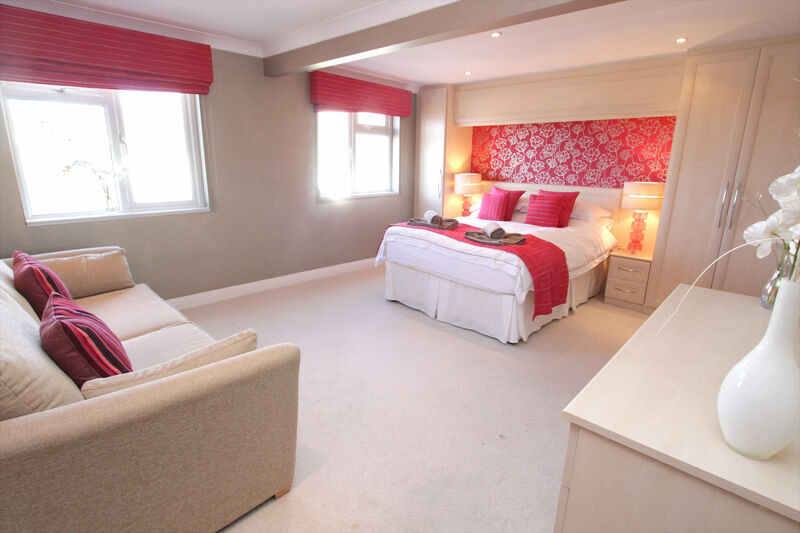 Twin bedroom with another wall mounted flat screen TV with freeview. 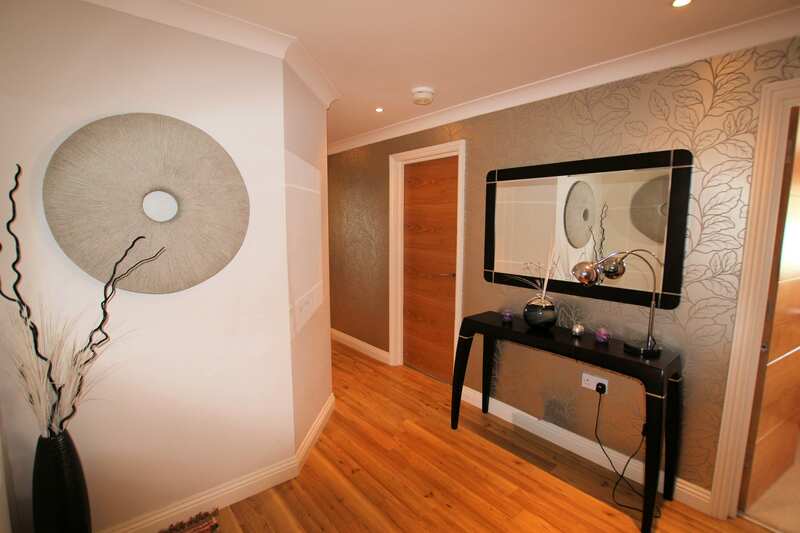 There is a sofa bed if required available in either of the double bedrooms. 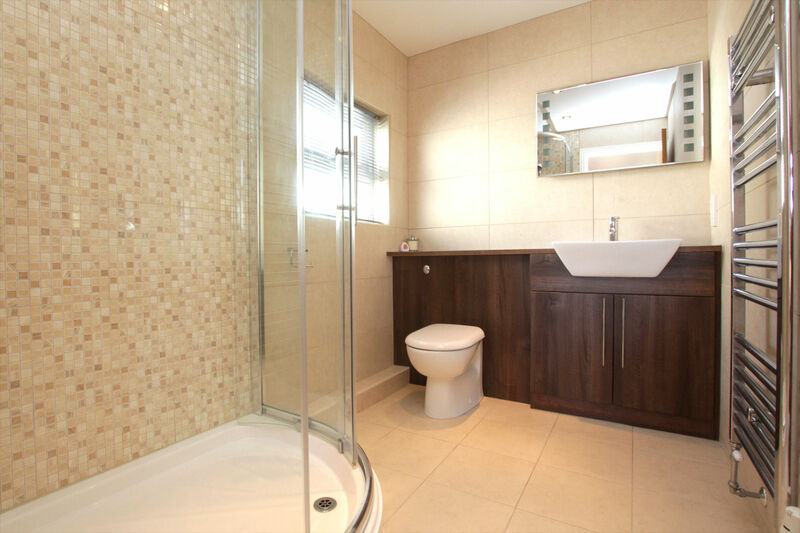 Family bathroom with corner bath and a separate large walk in shower cubicle. There is designated parking for one vehicle to the rear of the building. Additional cars would need to be parked (at additional cost in peak season) locally. There is lift access to the apartment from the ground floor entrance together with a level entrance to the top floor from the rear of the building. We regret that pets are not accepted at this property. 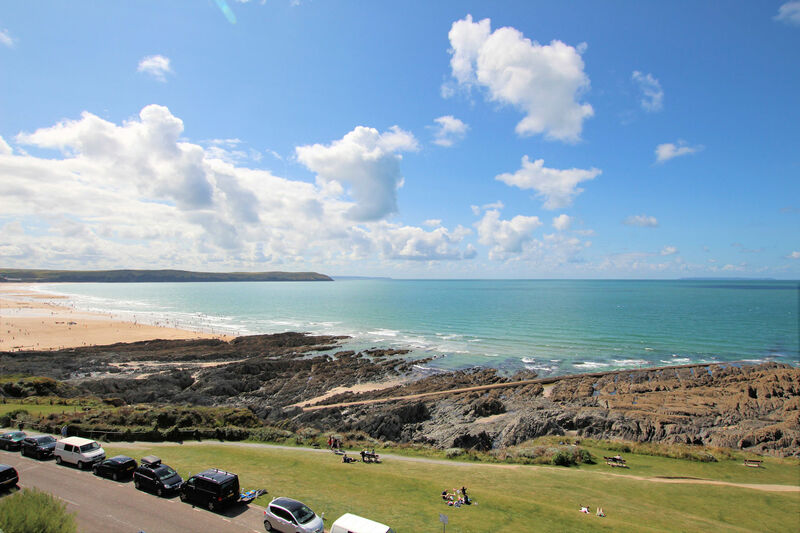 Devon Beach Court is built on a hillside and therefore the front of the property (closest to the sea) and the rear of the property are on different levels. The entrance lobby at the front of the building, is on the first floor, accessed via external steps (please note that this apartment building has further apartments on the ground level (below the entrance lobby)). There is a lift/flights of stairs from the entrance lobby to the fourth floor. In the event of a fire, or mechanical failure, it would not be possible to use the lift. 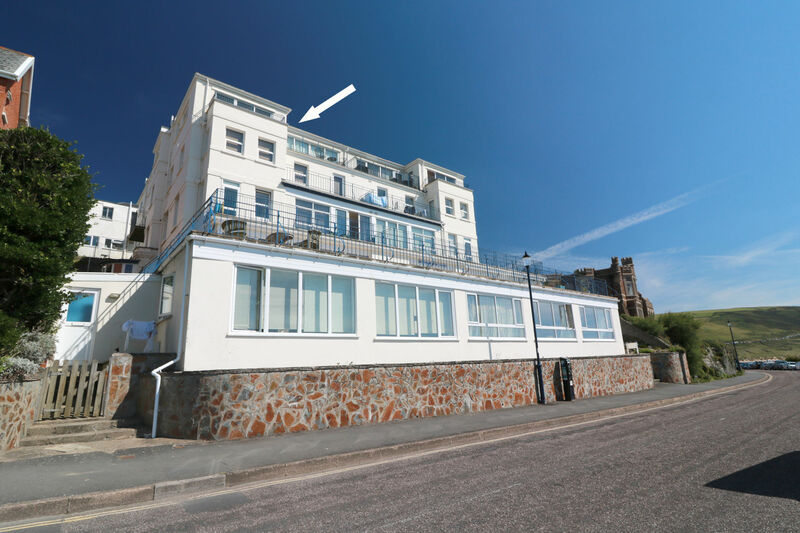 Access can also be made to Devon Beach Penthouse from the rear of the building, from the car parking area. From the car parking, a level, undercover gangway leads to the open plan landing of the fourth floor. From here you will find the front door to the apartment. The penthouse was excellent and the area was fantastic. Would I come here again, yes definitely. Stopped at the penthouse had a great week the weather was excellent very hot it topped at 32c the bed rooms were quiet big, the main bedroom was excellent with great sea views. Also we had great sea views from the living room - we had a choice of 2 beaches in front of us one beach was 2 miles long and busy at weekend the 2nd beach was. 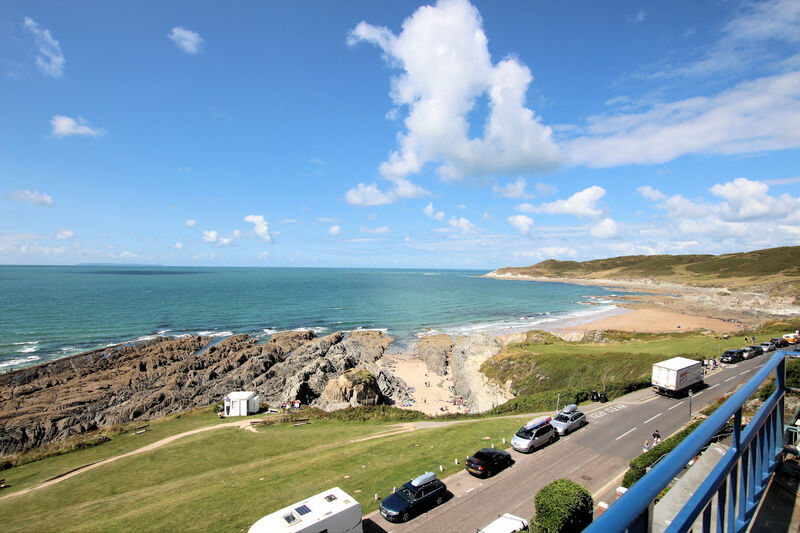 Barricane beach and was very good for swimming, all in all the penthouse was excellent and the area was fantastic would I come here again yes definitely. We stayed at the property for Spring Bank holiday week. I took my two daughters aged 23 and 20, and my 90 year old mother. Being an apartment suited us as there were no stairs and a lift to the ground should we need it. Parking for my mum as perfect as we were at the parking level so it was a simple walk in. The flat met the challenging expectations of my daughters - it was modern. well furnished with wifi that worked and a balcony that we could all sit on. Everybody happy! 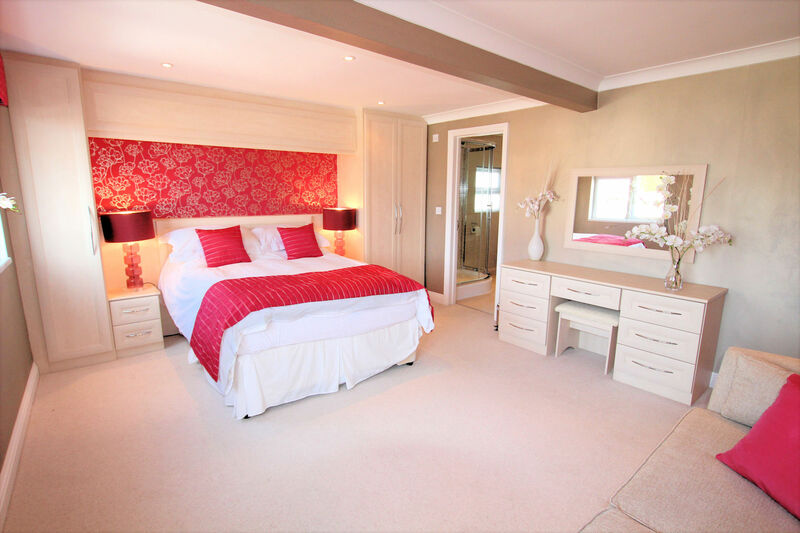 My mum liked her ensuite room and the master bedroom with open views over the sea was the most amazing experience. It felt , at times that the sea was underneath the bed - so close. I wrote all my school reports whilst staring at the sea. It really didn't feel like work! A super experience! We didn't even mind when the weather was a bit grotty or overcast - we just sat watching the sea! A very relaxing break.